In recent times, crises all over the world seem to be escalating. 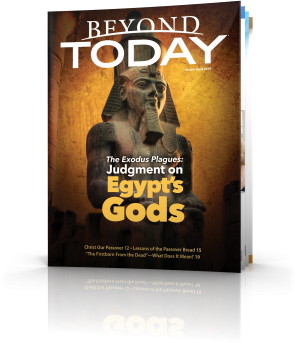 Natural disasters, crime and violence, war — the inspired writings of the Old Testament prophets and Jesus Christ's apostles refer to the 'end' of this age when God will directly intervene in human affairs. Jesus Himself talked of a future time so horrendous that, "except those days should be shortened, there should no flesh be saved". (Matthew 24:22 KJV). Could we be living in that time now? If so, what lies ahead? Are we approaching "Armageddon"? 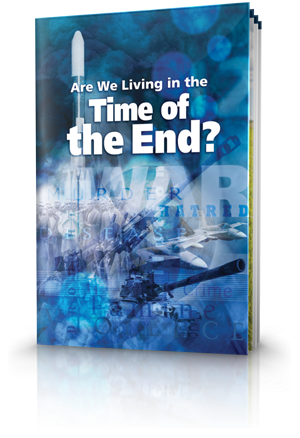 In this free booklet we examine exactly what Jesus Christ, His apostles and the prophets of old really said about the perilous days referred to as "the time of the end". Many biblical prophecies leave us in no doubt that increasingly cataclysmic events will occur before God's direct intervention in human affairs. How does the Bible use the term time of the end? What exactly is it? Are we in that time yet? Is there a way to know? We could be headed for the greatest crisis in all of human history culminating in the second coming of Jesus Christ. Like the people in Noah's time who laughed and mocked as he built the ark, the end of this age will come when the overwhelming majority are unprepared. Jesus Christ spoke of a coming "end of the age." What did He mean? What age did He say would come to an end? The Time of the End: The End of What? The Bible speaks of the time of the end. But exactly what will come to an end? Some biblical terms have a considerably broader application than the 3 1⁄2 year time of crisis immediately preceding Jesus Christ's return. Jesus Christ's Olivet Prophecy: Where Are We Now? In a remarkable prophecy shortly before His death, Jesus described the signs that would precede His return. What do those signs reveal? Did Jesus Christ Foretell Devastating Storms? Are natural disasters, earthquakes and hurricanes, increasing as Jesus foretold? What did Jesus mean when He referred to this generation? In the biblical book of Revelation, Jesus Christ foretold many more signs of the time of the end. What do these mysterious signs mean? How is the increase of the world's population related to prophecy? Bible prophecy reveals several specific conditions that must be met before Christ returns to earth. Where are we on this prophetic time scale? Why does God reveal what the future holds? So we will be spurred to change. What do you need to do to be prepared? 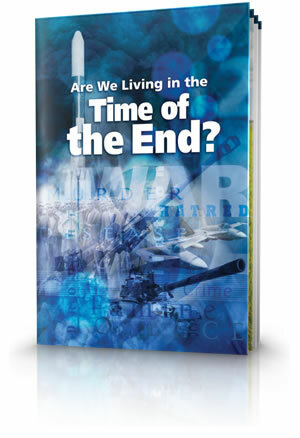 In light of the many prophecies about the end of this age, what can you do? What should you do? Explains the causes of conflict in this volatile region, between Arab and Jew, and between Eastern and Western cultures. It deals not only with the past and present but with the future as prophesied by inspired writers more than 2000 years ago. Present conflicts cannot be understood without putting them into their historical context and recognising the modern influences fanning those historical flames.